Want a proper Email Marketing tool to send your product’s Info, Update, News and other things to your customers then you must read this review till the end. 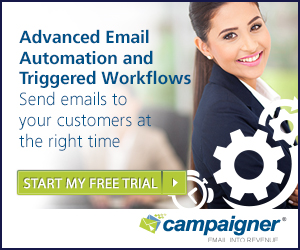 If your email contact is huge then you need a professional solution for sending your emails, here come the Campayn Email Marketing tool. It will help you to transmit your message to all of your contacts with ease. 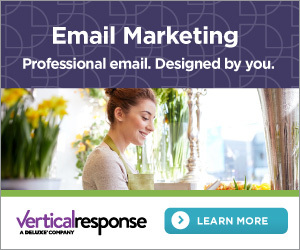 There are various other email marketing tools are available but it is little different from others. You don’t need to create a spreadsheet of your contacts to import, Campayn is designed with the advanced feature through which you can import your contacts directly from Gmail or Yahoo! Mail. So, simply connect your email account with it and start sending newsletters to your contacts. If you don’t have any experience in email marketing then don’t worry as, Campayn is very simple to use. 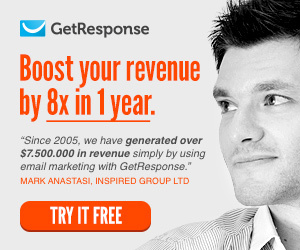 Via this email marketing tool, it becomes very simple to send email newsletters to everyone on your email list. Singin to access your most recent emails and drafts from the dashboard- you can open, edit, and send with ease. Or, simply click on the red New Email button to create a new email. After that opt a theme according to your need then add your email’s name, and then follow the onscreen instructions to create your emails one-by-one. One can easily add text, photos, and other content to create an attractive email, and also see the preview of your email before sending to anyone. Inserting your content into email is very simple, save your photos and articles in Campayn, and then add them while creating your emails and then use again them anytime you want. You don’t need to write any code or in order to add merge fields from a menu, so via Campayn email marketing tool you can easily modify your emails on the basis of your contacts’ names, locations and more. This tool also contains a segmenting feature that allows you to split your contacts into related lists and send the best email to everyone. One can also grow their email lists with the help of Campayn form creator feature, don’t worry because using this tool is as easy as designing a email. So, simply create an attractive signup form and draw visitors to signup for your newsletters. Or, go with the Campayn’s iOS app to add new email contacts to your account. Campayn email marketing tool offers 4 types of signup forms which will help you to grow your list of email subscribers and generate leads by adding wonderfully designed pop-up and full-page sign up forms on your website. WEBSITE FORMS: Via this, you can embed a sign-up form direct on the home page of your website or select another internal page that is receiving high-traffic. HOSTED FORMS: Users can keep their hosted forms on Campayn’s servers so it can automatically update their contact list with new subscribers. FACEBOOK FORMS: Facebook signup forms will allow your Facebook followers to sign up to your email list. POPUP LIGHTBOX FORMS: This subscription form will help you to record more email addresses that highly ask website visitors to sign up to your email list. Campayn is designed for your entire team, via this, you can allow other team members to create and send emails. First, you have to add your team members, given them accessibility like what they’re permissible to see and do in the app. Share your articles, photos, templates and other content to allow everyone send emails easily. Campayn is designed with the several advanced yet easy to use features through which one can easily run an email marketing campaign. Its WYSIWYG email editor will turn a complicated email designing task very simple. It also contains various readymade layouts, an organized dashboard to manage templates, signup form creator for newsletters subscription and mailing lists and more. You can track your email camping via its reporting system that tracks the bounces and click-throughs. Create and set event-triggered email and auto-responders. UPLOAD CUSTOM HTML: Yes, you can upload your own custom HTML code to design an email that’s completely unique. ADD TO CALENDAR BUTTONS: Now your potential customers can easily keep track of your upcoming business events, go with the easy-to-embed calendar buttons and add events to their online calendar. ADD GOOGLE MAPS IMAGES: Via this, you can allow your customers to know precisely where to search your store or upcoming event. Embed hyperlinked Google Maps images to show the path. ATTACH FILES: By adding important files you can make your email more useful, you can add ebooks, digital brochures, contracts and more. Your users can easily download the embedded files by clicking on the easy-to-format link. 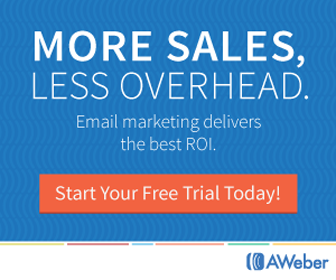 SEGMENTATION: Send a targeted email to your subscribers. For example: if you want to share any great deal exclusively for a particular segment of your contact list then you can do it easily. DOUBLE OPT-IN: You can easily create a list of the more engaged subscriber by verifying their email address of all recent subscribers. I Want to Use Campayn for Free! That’s all about the Campayn Email Marketing Tool, if you are interested to run a successful email marketing campaign but don’t have much knowledge about this, then you should try Campayn once. It comes with a free basic plan, so if you want to check this tool without investing a penny then you can go with its free basic plan.